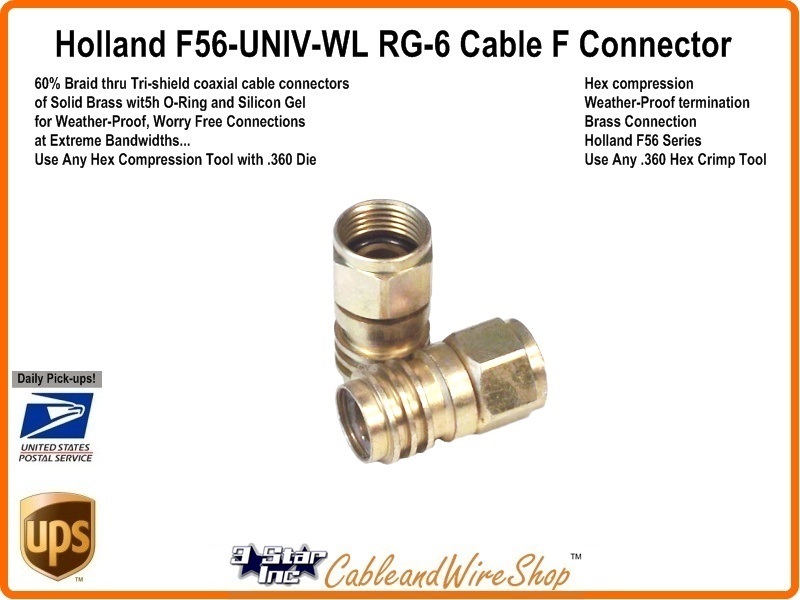 (1 each/unit) For use on 60% Braid thru Tri-Shield coaxial cable for weatheproof connections on Exterior Installations. These Hex Crimp Cable Connectors come complete with an integral O-ring and Silicongel, for Long-Term WeatheProof Connections. Made of Brass construction with a Gold Iridite Finish applied. Note: This connector is a modern manufacture of an old design. We recommend this in repairing old system installation installed with older RG6 cable. Confine the use of this connector to exterior add-outlet Cable TV, Satellite and Antenna cable runs. If you are looking for exterior use connectors. and you need Hex crimp. these are them!